Since the downfall of webOS, app development on neathings has stalled. We still continue to support our apps, and promise to do so until there are no more users of our apps. While open webOS is a great project and I hope to someday see the OS on a myriad of devices, it’s become obvious that neathings needs to move in a different direction. Enter Windows 8 and Windows phone 8. Microsoft has completely revamped ita mobile presence, and with both windows and windows phone sharing the same metro interface, making apps for both operating systems just makes sense. Over the next few months, all of our apps will be considered for the Windows platform. Check back towards the end of October when the release of these new platforms nears, for updates on which apps will be released, and when to expect them. Unfortunately, it seems like there may be a compatibility issue with SleepTimer and the HP TouchPad. I have received a few complaints about it not working properly. While not all of these issue are reproducible, the number of complaints is concerning. As a precautionary measure, I have removed it form the app catalog until a fully compatible update is released. Follow @neathings on twitter to make sure you don’t miss it! So it turns out the method used by SleepTimer will only stop music on the TouchPad if the app playing the music is one that runs in the phone emulator. Unfortunately, this means SleepTimer no longer works with newer versions of webOS, and will remain out of the app catalog indefinitely, unless something changes. Shake It! – the game to see who can shake their phone the fastest and hardest! It’s simple, quick, and extremely fun! Now that the pre 2 can finally be pre-ordered through HP Wireless Central, some people have already decided that the phone should not be purchased. Check any forum and you hear all the usual phrases: Too little too late, epic fail, who would buy this, etc… While some comments are just plain rude, one common theme that keeps popping up that confuses me is people stating that the phone should not be released since the pre 3 is just around the corner. Firstly, the pre 2 is not a bad device, but more importantly, there is no reason why HP should not sell the phone. More and more webOS developers are starting to include video demos of their apps, which is great. Unfortunately, capturing your app on video can be somewhat difficult. One way around this is to use the emulator on your PC to run the app and screen recording software to record the emulator running your app. While this works great, it has one major limitation: you can see the mouse cursor. This looks strange to people who are not developers, and it looks even more strange when you view the video on your phone and see a little mouse cursor running around on an app. Well it’s been a long time coming, but finally neathings has undergone a complete face-lift. The site is now powered by WordPress and using a different host. I must say, I am quite pleased with the results. Now everything is combined into one site, instead of needing a separate page for neat things and webOS apps. If you just want to look at things or apps, use the links in the sidebar, or in the menu above! The site now has comments enabled throughout, powered by Disqus. Feel free to comment and let me know what you think about the site. If you find any issues with the site, or any broken links, please contact support. P.S. 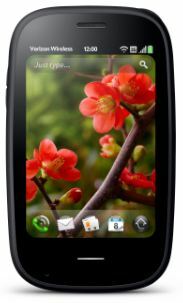 A new webOS app is headed down the pipeline. It’s a simple game, but pretty entertaining! Alright, Everything is about ready for the big transfer. Exciting times here at neathings. This is the first application in the App Catalog developed by neathings. It has been a great experience getting to this point. 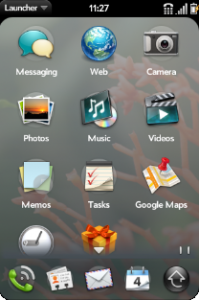 Developing for webOS has been fun, and it really is a great platform. I hope to develop many more app in the future. SleepTimer turns your webOS phone into a music sleep timer. Simply set how long you want your music to play, and it will stop your music automatically for you. Check it out here.